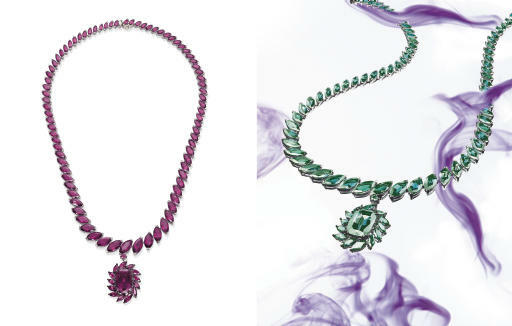 'Alexandrite is a magical and enchanting gemstone. In the world of natural gems, it is arguably one of the most intriguing finds. First unearthed in Russia in the 1830s, the mineral astounded geologists with its almost unique optical 'colour-change' property, switching from raspberry-red to emerald-green dependent on incident light. There are some wonderful apocryphal stories behind the discovery of alexandrite whose colours were said to represent the country of its birth. Purportedly found on the day of the coming of age of the young Tsarevitch Alexander II, alexandrite was eponymously named in his honour.